Have you ever thought about what made you the person you are today? Our lives are shaped by every experience we have, from the time we’re born all the way up until the present moment – and will continue to be shaped from this moment on. Some of your life experiences may feel like wonderful adventures, while others may feel like horrible nightmares. And between these extremes, you get to learn and decide what works and what doesn’t work…what adds joy and fulfillment to your life, and what takes it away. Romantic relationships operate the same way, and provide some of our greatest opportunities for self-awareness and growth. 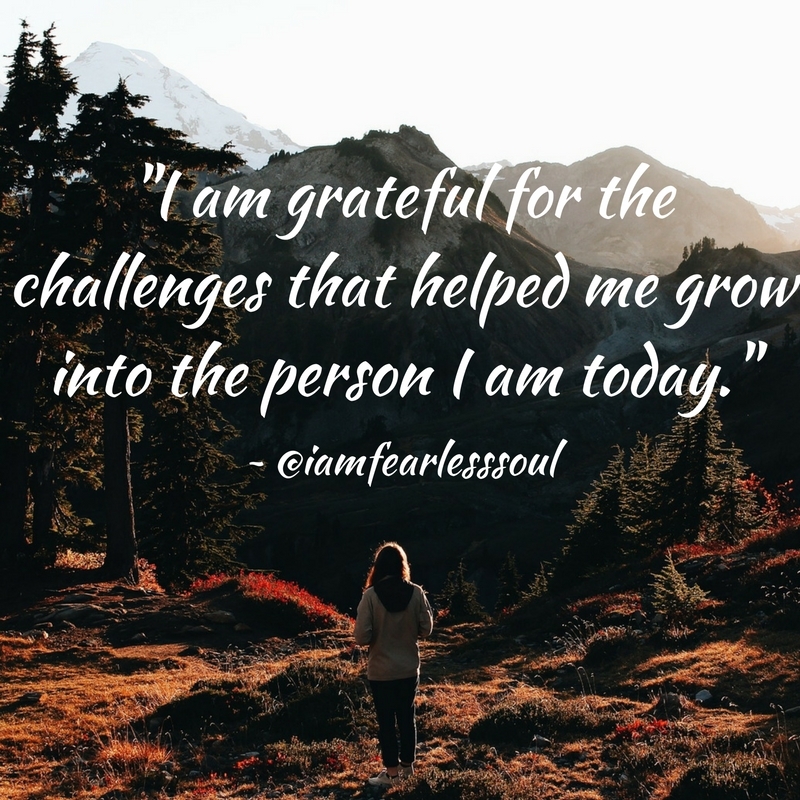 Between the extremes of highs and lows, if you’ve learned anything about yourself from the way you handle the lows, you have a lot to be grateful for! Instead of resolving conflict in a healthy way, we choose to stuff it down…even though we know it’s not good for us. In the midst of anger, we treat our partners in a way that later makes us feel guilty…and then we start beating up and mistreating ourselves because of our poor behavior. We keep sacrificing our own needs for the sake of our partner’s needs…and then end up resenting them for not getting our needs met. You get the picture. All of these examples cause unnecessary pain, and yet very few of us have escaped these common relationship patterns. So why does this happen to SO many people? In the past, when looking back at some of the mistakes I’ve made in my relationships, I used to cringe and think, ‘how could I have been so stupid?’ or ‘why did I let that go on for so long?’. But once I started down the path of learning how to love myself and accept full responsibility for the choices I make, I realized that we’re all doing the best we can with the understanding, awareness and knowledge that we have in any given moment. I admit that some mistakes needed to be repeated several times before I finally learned the needed lesson. But I did eventually learn, and as painful as some of those lessons were, I’m grateful for the wisdom gained that keeps me from making those same mistakes now. What mistakes have you learned from in your relationships? And how have they helped you develop into a better person and partner? Or maybe you’re still in the process of learning from your mistakes and striving toward becoming the person and partner you want to be. Either way, in honor of this month’s theme of gratitude, I encourage you to write a letter of appreciation to yourself. Write it as if you’re writing it to a good friend and telling them how much you admire them – but in this case, that friend is you. Acknowledging what you’ve learned from your relationships will remind you how far you’ve come in your life and that you have the ability and strength to continue growing into your best self. 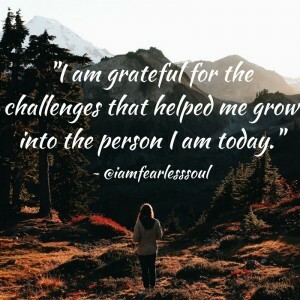 This process will also help you appreciate the challenges themselves. You wouldn’t be the person you are today without them. And if you’re not yet happy with the person you are today, realize that there is always hope. If you’re going through a difficult time right now in your relationship, just think about what you’re learning from it and how your future will be brighter from the wisdom you’re gaining. I know this is easier said than done, but that doesn’t have to stop you from doing it. Romantic relationships are one of our greatest teachers in life. As the student, you have the power to change your story. Use the catalyst of emotional pain as an opportunity to honor your truth and to grow from the lessons you’re learning. You are worthy of a fulfilling relationship and a life that’s filled with joy-filled moments. The more you’re willing to learn from your painful experiences, the greater your chances are at having that amazing life. Please always remember that you are stronger than you realize, and you and the quality of your life matter! I thank you for being YOU, and I hope you do too! P.S. Curious to learn more about how you can use your relationship struggles as a catalyst for growth? Schedule your free Relationship Breakthrough Session here. I would love to connect with you and support you however I can!